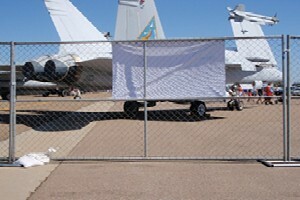 Our affiliate company, Event Solutions, offers 6′ x 12′ temporary fencing panels. Temporary perimeter fencing can make a statement about the safety of a constructions site or special event at first glance. We know how to work closely with our customers to effectively secure and protect any restricted area from public access.